Happy Wednesday! I can't wait to share you the latest and greatest from one of my favorite makeup brands Sugarpill. They came out with their newest product from the fabulous KimChi, check it out! 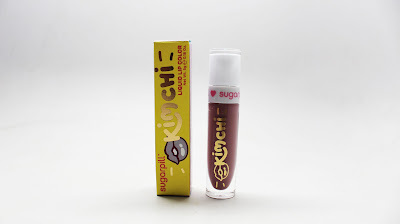 Sugarpill just released the new KimChi liquid lip color and it is so unique and gorgeous. 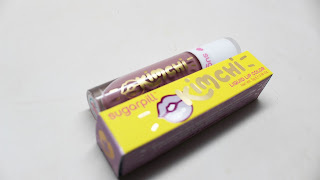 First off, I love the wide lipstick packaging with signature touches of Sugarpill's girly design. It feels sturdy in the hands for application. The color itself is described as a matte, mauve lavender with a unique blend of transparent aqua and violet sparkles. It has a fun donut scent. On the lips I found it super creamy and opaque. I didn't think it would mesh with my tan skin but I was surprised that it worked on me! Check out the final look! Isn't it gorgeous? And this is without liner. You can rock it with a purple liner if you want to make it a bit more wearable. 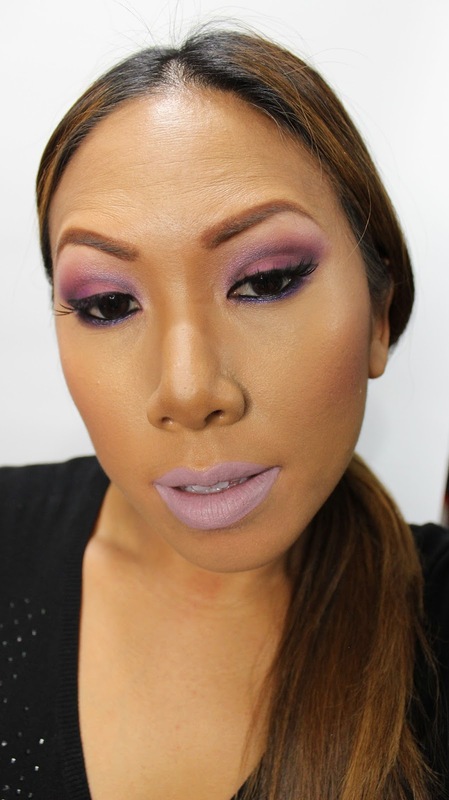 Unfortunately this lipstick is currently sold out. But it regular retails for $18.00 on www.sugarpillshop.com .Keep you eyes out for a restock!